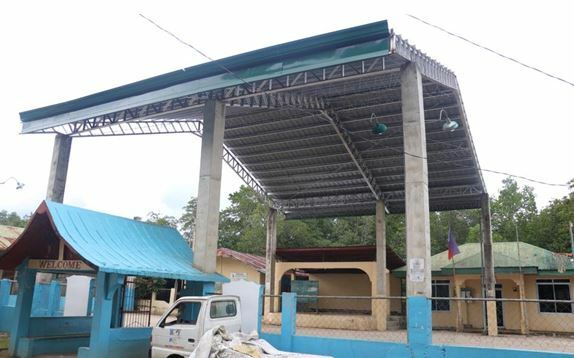 ALL barangays in Bohol’s 2nd District will soon have a multi-purpose building each –courtesy of Rep. Erico Aristotle Aumentado. The solon said some barangays have completed theirs through this counter-parting project. However, some “poorer” barangays could not come up with their respective counterparts, leaving the project unfinished until now. Aumentado continues to make the rounds of his district for ocular inspections to assess the ongoing multipurpose building projects to determine which are not yet complete. For these, he said, he will request for additional funding at P1 million next year. Current funding, he said, is P750,000 from the Department of Public Works and Highways (DPWH). The multi-purpose buildings can serve as the barangay’s meeting or assembly area, or evacuation center in times of calamities. The buildings have rain water collectors. The water can then be used by the community for the building’s toilet, for their respective laundry and other water needs. Aumentado said the amount may not be that much, but he gave all the barangays in his district such funds equally for the multi-purpose buildings not considering if he won or lost in that barangay in the last elections. He emphasized that he does not want to give just a few barangays from two to three million pesos if this means sacrificing the needs ofd the other barangays. He wants all barangays to receive equal amounts. The solon said after the election results are out, he always puts politics behind. This is most effective, he said, to heal “election wounds”. TAKING SHAPE, BUT NOT YET DONE.Built with P750,000 from the Department of Public Works and Highways as requested by Rep. Erico Aristotle Aumentado of Bohol’s 2nd District, some multi-purpose buildings remain to be completed, mostly because of the failure of barangay local government units to raise funds as counterpart. As a result, Aumentado is assessing the status of these buildingsacross his district, including that of Basiao (above) in the island town of President Carlos P, Garcia, for him to request additional funding from DPWH next year. Photo: ArisAumentado’s Facebook Account.